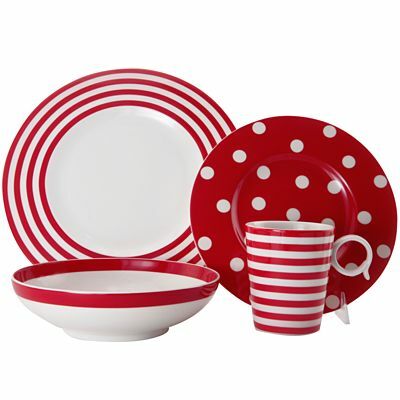 Set your table with the fresh polka dot and striped print on the Red Vanilla Freshness Dinnerware Collection. Vibrant colors mix with playful patterns so each and every meal is exciting. $20-$30 Sale $16.99-$21.99. Buy here.